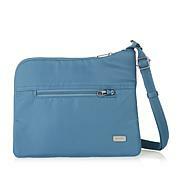 Stay one step ahead of the bad guys and travel with assurance with this stylish crossbody bag. It's designed to help shield your personal information from identity thieves with its RFID technology. With plenty anti-theft features, this bag provides added protection and peace of mind for stylish, on-the-go travel and safety solutions. This is a great go to. I love that it holds the bare necessities. When Im running from work to the grocery store its nice to not have to lug in my entire business bag. I just grab this and go. 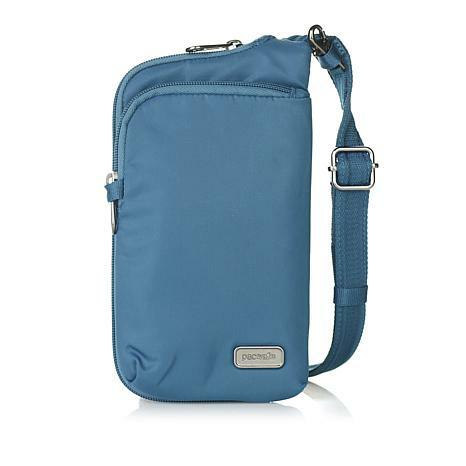 This is a great slim crossbody bag. I used it on a recent trip to disneyworld and it was able to hold my essentials and i felt secure locking it up at all the entry points and having the stap unable to cut. keeping the bag small allows for it to be light weight on my back. As a lover of purple, i really loved the color too. I purchased this item in black for a trip to SE Asia. Have traveled to PNW using this to get me through security and it is a nice accessory. 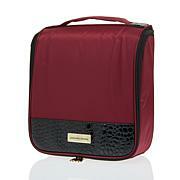 It holds iPhone, 2 passports, sunglasses, credit cards, lip gloss, and currency. It is discrete and I can feel secure as I wear it underneath a jacket. 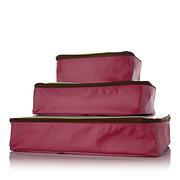 Perfect for traveling or everyday, small put more than enough space for cards and money. I travel several times a year to Europe and South America. 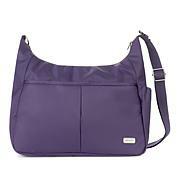 I hate to carry a purse or backpack when walking in busy cities and feeling vulnerable to pick-pocketing. It is a very real concern and a common occurrence. This bag holds my iPhone 6s +, passport, credit cards, hand cream, lip balm and glasses with ease. The bag seems so well constructed and of high quality. The safety features are genius. I'm thrilled with this purchase and will definitely be purchasing more from this brand!